Carry Blue Chalcedony when in need of relief from depression or an immune system boost. Blue Chalcedony has a special connection with the Angelic Realm. Blue Chalcedony is said to enhance creativity in any endeavor. Blue Chalcedony can bring a sense of generosity to the holder, imparting more joy into one's life centered around service to others. 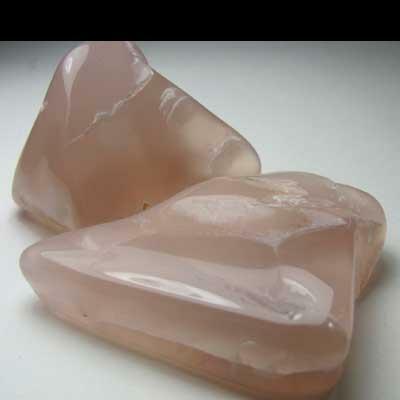 Soothing, calming Chalcedony is great for promoting a sense of peace and joy. As a member of the Quartz family, Chalcedony carries similar properties, such as cleansing, healing, and balancing. Chalcedony helps to relieve one of negative emotions, bringing a greater sense of overall happiness into one's life. Click Here to see Blue Chalcedony in our online catalog.